Last week I was given the Emerging Music album from Jesus Culture Music. In an effort to return the favor, I am giving away this album to one of the readers of this blog. Therefore I am pleased to announce the very first Prayer Coach Blog contest. 1. 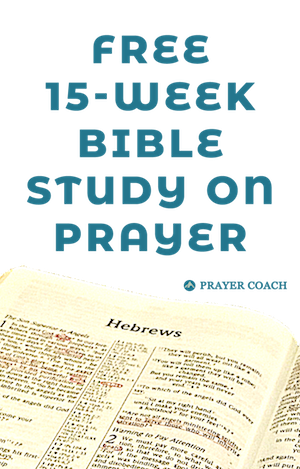 Write a comment to any of the Prayer Coach blog posts. Each comment made from August 28th to next Friday, September 7th will be eligible for the contest. Multiple comments equal multiple entries giving you a greater chance to win. Please make intelligent comments that show that you read the post. You will need to include a legitimate email one the comment as that will be how I will contact the winner. 2. Like our Facebook page (optional). Liking our Facebook page will double your entries. You will need to use the same name on the comments as you have on Facebook in order for me to match them. 3. Subscribe to our email feed (optional). Subscribing to get updated on all new blog posts through email will also double your entries. Never miss another post from Prayer Coach by getting them emailed to your directly. The service is run through Feedburner. You will be asked for your email, then you will receive a confirmation email that will ask you to opt-in. This makes sure nobody gives your email for you. The email you subscribe to the posts will need to match the one your used on the comment. 4. Follow @Prayer_Coach on Twitter (does not count). You are welcome to follow us on Twitter and receive regular prayer quotes to inspire your relationship with God. We currently have so many follower, that there is no way to confirm your follow, so while I believe you would enjoy following us, it will not be included in the contest. You comment on one post (1 entry). You comment on three posts (3 entries). You comment on three posts and you like us on Facebook (6 entries). You comment on three posts, you like us on Facebook, and you subscribe by email (9 entries). You like us on Facebook (0 entries). Emerging Voices by Jesus Culture Music released on July 31st and peaked at No. 11 on the overall iTunes “Top Albums” chart. It is still currently one of the top albums in the Christian & Gospel chart. The winner will receive their prize through email as an iTunes download. NO PURCHASE NECESSARY TO ENTER OR WIN. Void where prohibited. Entry at prayer-coach.com between 12:01 a.m. ET on August 28, 2012 and 11:59 p.m. ET on September 7, 2012. The prize winner will be selected in a random drawing from among all eligible entries on or about September 9, 2012 by Shorter SEO. The potential winner will be notified by email to the one used in the comments on or about September 10, 2012. ONLINE REGISTRATION: If for any reason the Sweepstakes, including the online portion, is not capable of running as planned, including disruptions caused by computer virus, bugs, tampering, unauthorized intervention, fraud, technical failures or any other cause that corrupts, affects or compromises the administration, security, fairness, integrity, proper conduct or intended play of the Sweepstakes, Shorter SEO reserves the right at its sole discretion to disqualify any individual that Shorter SEO deems responsible and Shorter SEO further reserves the right to cancel, terminate, modify or suspend the Sweepstakes, with appropriate alternate method of prize award selected. Sponsor assumes no responsibility for any error, omission, interruption, deletion, defect, delay in operation or transmission, communications failure, theft, destruction or unauthorized access to, or alteration of, entries, including any erroneous appearance of qualification for a prize. Sponsor is not responsible for any problem or technical malfunction of computer online systems, servers or provider, computer equipment, software, failure of any e-mail or entry to be received by Shorter SEO due to technical problem or traffic, congestion on the internet or at any web site, or any combination thereof, including any injury or damage to participant’s or any other person’s computer related to or resulting from participation or downloading any materials in this Sweepstakes. Sweepstakes entries generated by a script, macro or other mechanical or automated means are ineligible and will be disqualified. All entries must include a valid e-mail address for the entrant. In the event of dispute as to the identity or eligibility of a winner based on an e-mail address, the winning entry will be declared made by the “Authorized Account Holder” of the e-mail address submitted at the time of the entry. The “Authorized Account Holder” is the person to whom the applicable Internet service provider or other organization (such as business or educational institution) has assigned the e-mail addresses for the domain associated with the submitted e-mail address. I really like the Jesus Culture band and would love to win the CD. I liked your Facebook page and also signed up for email. I appreciate your support. That is 3 entries for you. Any new comment on another page will add 3 more entries each. Good luck on the contest. Hey Kevin, I was just wondering when you are going to announce the winner? Dan, I am pleased to announce that you just won the Emerging Voices album. We had a few other entries from comments to other posts, but your 2 comments, FB like and email sign-up gave you 6 entries and a high probability to win. I will send an email with the information to download the album off iTunes.